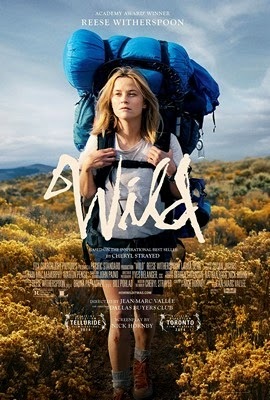 ‘Wild’ a biographical film based on Cheryl Strayed's 2012 memoir Wild: From Lost to Found on the Pacific Crest Trail. Director Jean-Marc Vallée and screen writer Nick Hornby create authentic atmosphere of a hiker’s journey and carve a painstaking moments on camera which watching is a meaningful experience. The film does not delve into any commercialization of the entire journey of Cheryl Strayed to hike for more than a thousand miles of the Pacific Crest Trail instead takes us with her for a out of this world experience which this hikers go through to get into the nirvana of nature cutting themselves out of the social connection. Technically and emotionally the film has an evenhanded panache to maneuver throughout in Strayed single mindedness decision to overcome the tragedies which she has gone through and find her way to hiking for rejuvenation of her emotional prowess. It is Witherspoon [ already nominated for best actress in Academy Awards] who has gone into the skin and mind of Strayed and bestow a supreme performance and effort to show the entire journey of a tormented young woman’s will to triumph over the predicament of her mother’s untimely demise and separation from her husband. Film is strictly not for those who seek to watch an adventurous side of hikers but a serious look into the mind of these loners why they divulge into such trail to salvage out of the disturbing life and to get the sense of right and wrong facts of living.